By default, Google shows you the last 30 days of activity. However, you can change this setting, or even compare two different date ranges, for example August 2008 versus August 2007. You can achieve this by clicking on the date range box found in the upper right corner and changing the “Comparison” dropdown from “Site” to “Date Range” and entering the appropriate dates. To go back to a singular date range just reverse the process. GA will overlay the reports for your viewing pleasure. This helps you get a quick comparison of whether your traffic is trending up or down. There are dozens of reports and hundreds of ways to slice and dice them, but these are the five I recommend you review regularly. They can be found by navigation the left hand menu. Please note that you can also use the date comparison on any of these reports as well. In addition, on every page there’s an About this Report link in the left hand column that will give specific information about the report you’re viewing. Visitors Overview – This is an essential report that tells you straight up how much traffic you have, how many page views, the average length of visit and your bounce rate. You can delve deeper depending on your needs, finding out how much new traffic you’re getting, what size monitors your visitors have, whether they use broadband or dial-up, and much more. Traffic Sources Overview – Where did your visitors come from? Search engines, other Web sites or did they type your URL into their address bar? This report breaks it down and tells you your best traffic sources. It may also show you where you need to put more energy into developing more traffic. Keywords – What words did visitors use at Google and the other search engines to find your site? 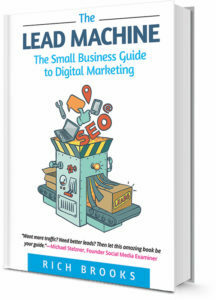 This report will tell you, and give you detailed info on how valuable each keyword is in terms of how long visitors spend at your site, how many pages they view, and even whether they “convert” by filling out a contact form, signing up for an email newsletter or buying something from your store. Top Content – What pages get the most traffic on your site? This report breaks it down for you so you can better see how people are using your site. As I mentioned, there are plenty of other reports—some which will be more appropriate for your specific business, especially if you offer e-commerce. Two other reports that I like give you information on where people are coming from, and where they’re going to. Map Overlay – Found under the Visitors tab, this map of the world will show you where your traffic is coming from. By clicking on any country you can further drill down. In the US you can drill down to the state, and finally by city. Hmmm…Presque Isle, Maine sent me four visitors last month. Maybe I should try and schedule a speaking gig up there. Site Overlay – This tool allows you to see what percentage of visitors clicked on which links on any given page on your site. You might be surprised to discover that no one is clicking on your free download, or that people are jumping right to the contact form from your home page. This can give you insight and help you develop a more effective home page, or any other page on your site. By clicking on any of the percentage bars you can get additional information if you’ve set up Google Analytic goals. For more on that, read the article Tracking Conversions: Does Your Web Site Turn Suspects into Prospects? There’s a lot more going on in Google Analytics than we’ve touched upon here in this beginner’s guide. Setting up goals, tracking links to external sites, tracking downloads, and even tracking the usage of an internal site search are just a few of the tricks Google Analytics can perform for you. If you need help installing Google Analytics, or need help understanding and making the most of your own reports, contact flyte today. Posted August 22, 2008 by Cindy & filed under SEO.